Orange County Disc Associates® has served the Orange County community, with the founder, Dr. Rob Campbell, serving as president of the chamber of commerce and president of the California State Association (OC). The Association has also named Dr. Campbell “Doctor of the Year”. 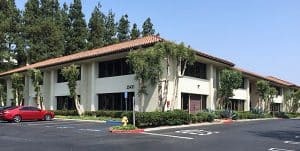 Orange County Disc Associates® was created with the belief that people suffering with serious disc conditions have a real alternative to living with the failures of past care, their disability, and the inevitable spinal surgery. The organization has dedicated 100% of their energies and attention toward providing specialists in the treatment of disc conditions and their related pain. This allows patients with serious disc conditions access to non-surgical treatment designed for their unique needs. The professional staff cares about you and understands your unique problem. From the moment you walk in, you will know our staff believes in what is being done to take a stand for your complete recovery. Dr. Rob Campbell will perform an extremely thorough evaluation, and he will give you an exact diagnosis of your problem, explain it to your complete understanding, and be clear about your treatment plan and any fees if he accepts your case. Orange County Disc Associates® will coordinate their efforts with other health care specialties and find the best path for each patient’s recovery, so a proper referral to another specialist will be provided if we are unable to classify you as a candidate for our system of care. Contact us at (949) 495-5252 for a free prequalification. Call to see if you qualify for our Disc Healing Solution treatment for most disc-related conditions, stenosis, bulge, herniation, pain in the legs/arms. Avoid unnecessary spinal surgery! Copyright © by Orange County Disc Associates. All rights reserved.